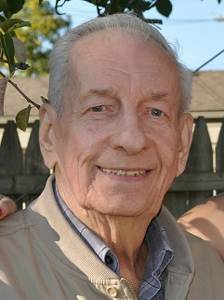 Marsh, Richard passed away November 24. Dear husband of Noreen Marsh. Loving father of Richard (Maria), Eileen (David) Gioia, Bob (Cyndy), Bill (Sandy) and the late Michael. Beloved grandfather of Alex, Jessica, Julia, Nicole, Angela, Harrison, Madeleine, Benjamin, Ryan and Josh. Family will receive guests Sunday from 1-9pm with a Chaplet of Divine Mercy at 3pm at Neely-Turowski Funeral Home 30200 5 Mile. (Between Middlebelt and Merriman) Instate10:15am until time of mass at 11am, Monday at St. Genevieve-St. Maurice Parish. In Lieu of flowers, please make memorial donations to Angela Hospice.